Click here to see A+ rating. 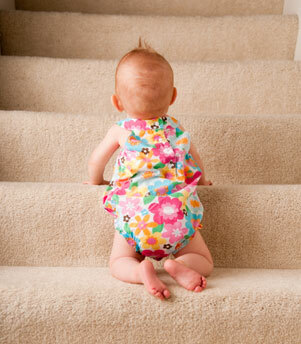 O'Bryan's Carpet Cleaning knows that a beautiful home starts with clean carpets. We know how important it is to have a trusted carpet cleaning services. Nothing cleans more thoroughly or protects your investment better than the O'Bryan's Carpet Cleaning method, also known as steam cleaning. For 25 years, people in Denton County and surrounding areas have relied on the professionals at O'Bryan's Carpet Cleaning to keep their carpets clean and free from harmful allergens and toxins. 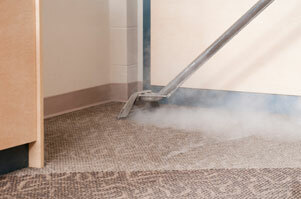 Our IICRC certified technicians use the steam cleaning method to remove dirt, grime and allergens from your carpets. The steam cleaning method is the preferred carpet cleaning method recommended by most carpet manufacturers, including Shaw Industries, the largest carpet manufacturer in the world. We also offer Scotchguard treatments. Carpet protector helps you to maintain your carpet to stay clean longer. It repels spills, blocks stains and resists soiling. Most fresh spills will clean up easily with just water. Carpet protector won't change the look or feel of your carpet. We are family owned and operated in Denton, Texas since 1987. You will be dealing with the same people every time you use our services. Our professional cleaning techniques are better in quality and workmanship than the rest. We guarantee our workmanship because we train our team members to do the best job possible. You are given an accurate estimate up front based on information you provide. We are honest and will not perform services that are unwarranted. We have an outstanding reputation and want to keep it that way. That's why most of our business comes from referrals, and you are rewarded by us when you refer new customers. We give back to the community by sponsoring local educational and youth organizations. We put you first! 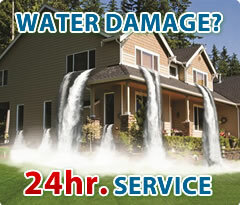 If you are an existing customer and you experience an emergency (such as pet accidents or a water damage), you will be our priority! Based in Denton, Texas, O'Bryan's is your best source for carpet cleaning in Denton, carpet cleaning in Lewisville, carpet cleaning in Flower Mound, carpet cleaning in Argyle, carpet cleaning in Highland Village, carpet cleaning in Copper Canyon, carpet cleaning in Bartonville, carpet cleaning in Lake Dallas, carpet cleaning in Hickory Creek, carpet cleaning in Little Elm, carpet cleaning in Corinth, carpet cleaning in Oak Point, carpet cleaning in Crossroads, carpet cleaning in Aubrey, carpet cleaning in Krugerville, carpet cleaning in Pilot Point, carpet cleaning in Providence Village, carpet cleaning in Sanger, carpet cleaning in Krum, carpet cleaning in Ponder, carpet cleaning in Justin, carpet cleaning in Lantana, carpet cleaning in Robson Ranch, carpet cleaning in Shady Shores, carpet cleaning in Trophy Club, carpet cleaning in Northlake, carpet cleaning in Roanoke, carpet cleaning in Bolivar, carpet cleaning in Paloma Creek, carpet cleaning in Savannah. Our satisfied customers live in cleaner, healthier, safer homes and offices in Denton, Texas and the surrounding areas. You can stop shopping for a good service company because WE ARE HERE. Activate O'Bryan's!